Why Should You Use a Laser Level to Shoot Grade? A laser level is a must-have tool that every construction worker and DIY worker should possess in their toolkit. In the construction industry, the contribution of the tool is simply unavoidable and the most fascinating use of the laser level is setting grade. Today, we will talk about how to use a laser level for grading through this step by step guide. Grading is the process that performed prior to any construction or renovation work to even out the surface and to provide a firm foundation. Proper grading helps to restrict the flow of water flowing towards the new foundation and does not allow to stand the flowing water in your property, and eventually, secure the surrounding of the foundation. In case of existing foundations, grading can be performed to improve the existing drainage system. When it’s about establishing grades for landscaping and buildings, there is no alternative to use a laser level. Shooting grades properly is a critical job. The fate of several construction projects, like foundations, excavation, pipe laying, grading, etc. depends on the accuracy of the result. 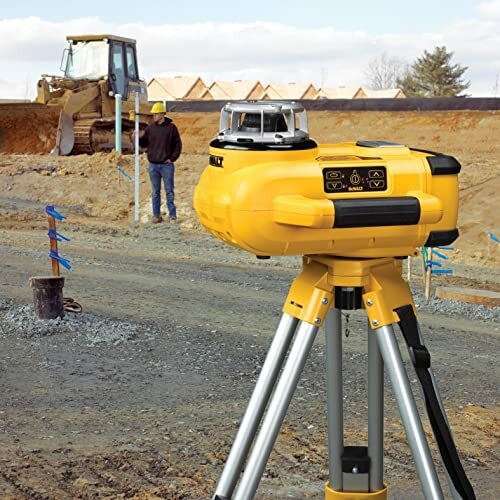 Faulty results can be a threat to the foundation itself, in such cases, to achieve an accurate level, a laser level can be a great help for the construction worker. A powerful and high accuracy rotary laser level is best suited for grade shooting and many outdoor construction projects. The importance of sloping or leveling and shooting grade in construction work is needless to mention. Equally, the necessity of using laser level is hardly needed to mention. But, for grading, you need a few more things too. Above all, you need a helping hand to get the flawless reading. Place the tripod on a firm, dry ground on the construction site, so that it does not move. Spread the three legs of the tripod, the distance from each other should be equal. Press the tripod’s pin firmly into the ground, unless it may trip over and damage the laser level. Moreover, for an accurate result, the tripod must be set up firmly on the ground. Check the stability of the tripod and mount the laser level on the tripod. Turn on the laser level. If you are using a self leveling laser level, buy some time to allow the level for self-leveling. But, in case of manually leveling laser level, use the adjustment screws to bring the bubbles of the level into the center. Now, with the help of your assistant, place the bottom of the grade rod at your desired height that you have already decided for the grade. Shoot the laser beam at that point and ask the assistant to adjust the position of the laser detector to connect with the laser beam. Adjust the laser detector by moving up and down, until you receive a constant beep sound. If the detector is too high or low, it will produce an interrupted beep sound, instead of the constant one. Adjust the detector eventually following the beep. Take the reading, whether the ground is below or above the desired point. You may need to lift the rod or dig into the ground to get the original reading. Bottom of the grade rod represents the bottom of the grade itself. Use a stick to mark the spot. Insert the stick in the ground to manifest the desired height. Learn more: How to Use Laser Level For Marking Ceilings? Proper grading in construction work secures the foundation itself and its surroundings too. Therefore, accuracy in this task is the major concern for the worker. While working with the laser level outdoor, it’s very important to follow all the rules and wear the safety goggles, especially when someone is receiving the reading using the laser detector. Do the work, remaining safe. Besides using a rotary laser level, now you can measure elevations quickly, no calculation needed with a ZIP LEVEL PRO-2000. This is a high precision altimeter which is not only used in leveling but also measures elevations directly in crystal clear digits. How to Use A Laser Level? 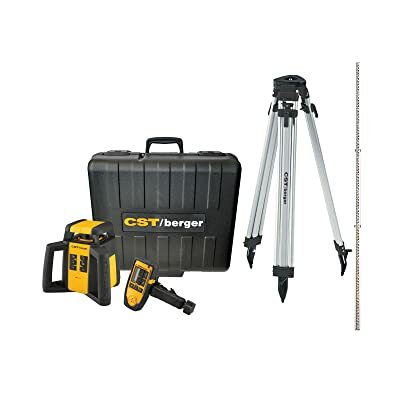 How to Calibrate a DEWALT Laser Level?